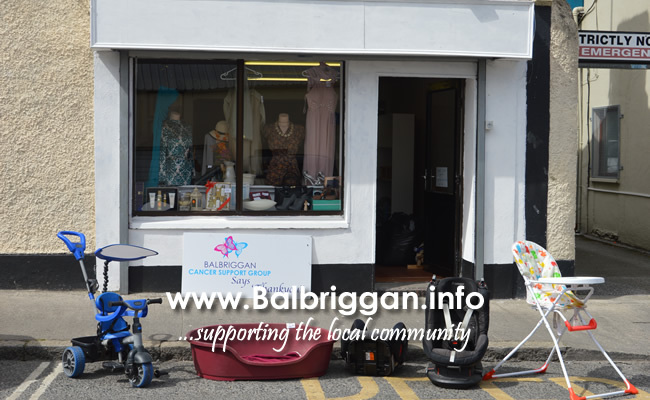 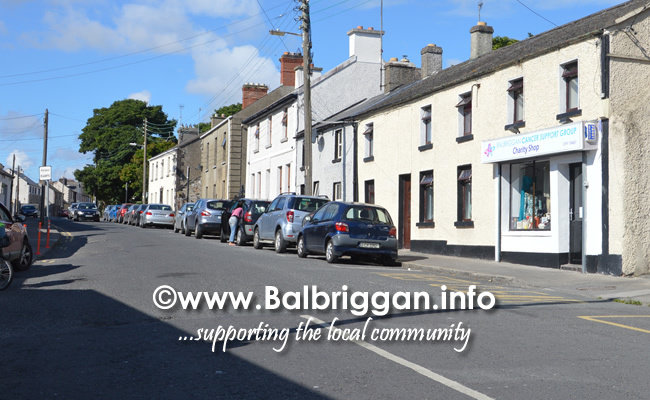 Balbriggan Cancer Support Group are delighted to announce the opening of a charity shop selling good quality women’s, men’s and children’s fashion and household goods. 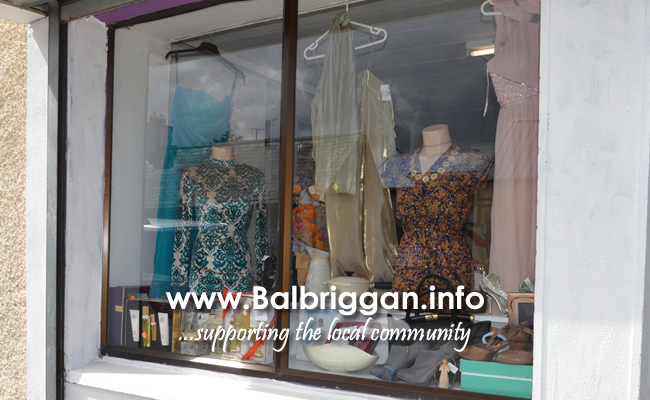 The shop is located on Clonard Street in Balbriggan and will open on Friday 10th August at 11am. 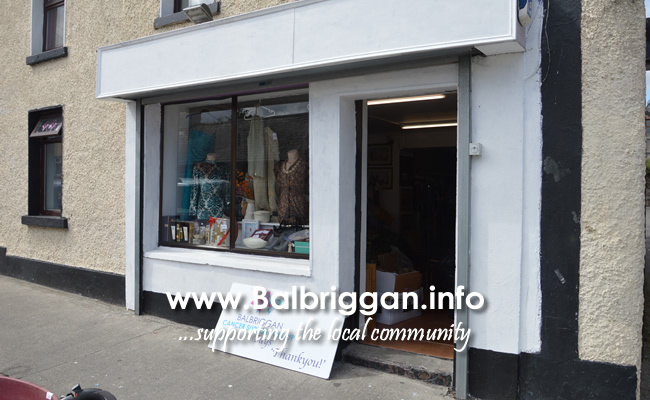 The finishing touches are being put n the shop and the new sign will be erected tomorrow. 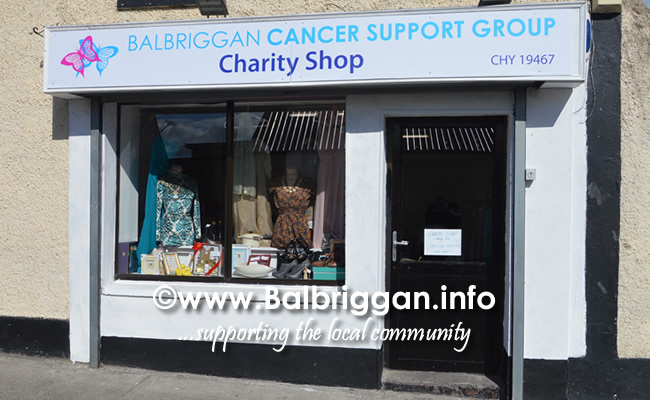 With the sad loss of founding member Peggy Quinlan last week to cancer, Balbriggan Cancer Support group endeavour to continue the good work they have been doing to get involved in the fight against cancer by providing access to information and support to all people affected by cancer and those who care for them.